Palestinian President Mahmoud Abbas on Thursday commended Morocco’s unwavering support to the Palestinian issue. 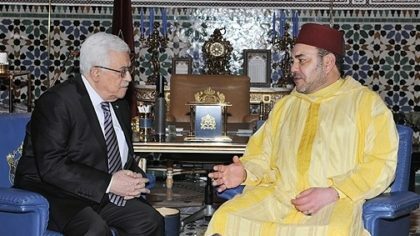 President Abbas who was meeting in Ramallah Moroccan Junior Minister for the Administration Reform Mohamed Benabdelkader, hailed Moroccan positions of principle in favor of the Palestinian issue, and more particularly the city of Al Quds, as King Mohammed VI is the chairperson of the Al Quds Committee. The Al Quds Committee, an offshoot of the Organization of Islamic Cooperation, supports the Holy City and the resistance of its populations. According to the Palestinian press agency “WAFA”, the Palestinian president also highlighted the participation of the Moroccan delegation in the opening of the Palestinian National Council, and noted that this participation translates the depth and solidity of the strong relations uniting the two brotherly peoples.